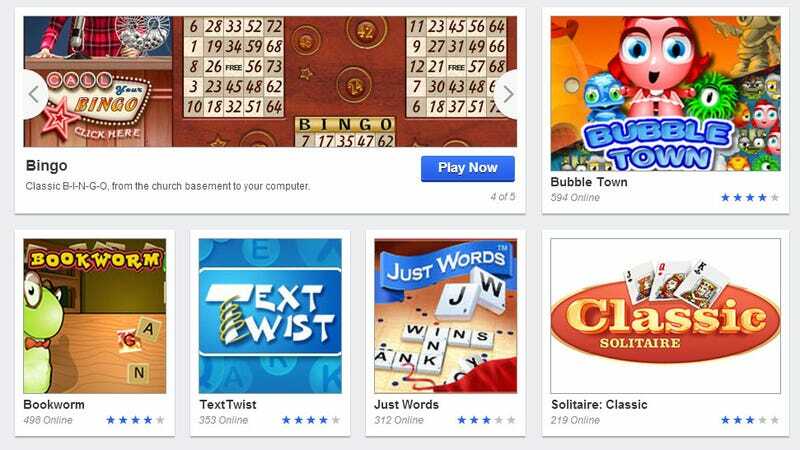 AOL's destination for competitive casual gaming features more than 5,000 games to play. Today a sleek new multi-platform redesign for Games.com makes it much easier for players to find and play them. The problem with having several thousand web-based games in one spot is giving users a way to sort through and discover them without leaving them overwhelmed. That was a problem with the old Games.com. There was a search box, but if you didn't know what you were searching for it wasn't that helpful. There was a featured games selection, but who chooses those? Certainly not the end user. The new games section was helpful, but did nothing to highlight the older titles on the site. Games.com general manager John Fox wanted to change all that. During a recent interview he talked about a Games.com that would bring to bear the full power of the AOL brand to attract players while giving independent developers an easy means to publish and monetize their offerings. Back before the days of the world wide web AOL was one of the only online destinations for gaming—it was America Online, CompuServe or Prodigy. One of those is still around. But before Games.com can become an even bigger force in the casual gaming space, it has to be more accessible, so here we are. What's new? For one, the page has been optimized in HTML 5 to conform to any browser window, from a widescreen monitor to your cell phone. Games are displayed in dynamic boxes, flowing about the screen to conform to your view. Next to the search box at the top of the page there's the arbitrarily picked Game of the Day and the new site's coolest feature, Random Game. Hitting the button shuffles through the entirety of the Games.com library and sends you to a title that, odds being what they are, you probably never heard of. This is easily the most compelling feature of the site—it's a little addictive. Finally we've got a bar on the right side that displays your user info, leaderboards, and game suggestions—recommendations based on the titles you play the most. It's a pretty drastic change, and it's definitely one for the better. The impenetrable curtain of curious casual titles has parted, giving players looking for a quick fix several options to get into a game and... well, I'd say get out but seeing as the site has an average of 29 minutes per visit, leaving might be a little tough. And it doesn't look like John Fox plans on making it any easier in the future. The new Games.com is a great place to get a quick casual single or multiplayer fix and an attractive destination for independent developers, and it's only getting better.